CARHIRE.ie was rebranded during 2013 to reflect a low cost position in the car rental market in Ireland. 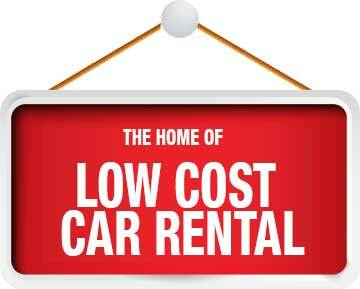 The logo, brand message and supporting graphics combine to convey a low cost car rental message. Central to the CARHIRE.ie low cost brand proposition is the price promise. CARHIRE.ie challenges customers to find a cheaper car rental quote from a competing car rental company. If a cheaper price is found, we will match the price offered elsewhere and beat it by 10% of the difference! While the low cost price positioning is central to everything CARHIRE.ie offer customers, the company is focused on ensuring customers enjoy a positive car rental experience. This means from the booking stage to the completion of the rental, customer satisfaction is key. In addition, CARHIRE.ie offers customers access to 15 locations nationwide. CARHIRE.ie is not afraid to make bold statements about the low cost car rental service on offer. Customers visiting the site will see clear messages educating customers as to the proposition available from CARHIRE.ie. 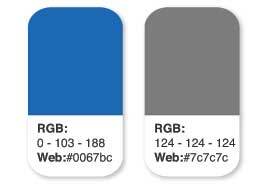 The key colours of the logo are blue (#0067bc) and grey (#7c7c7c). On all print material, the Futura MD BT (bold italic) font is used. Futura as a font offers efficiency and forwardness, and was designed by Paul Renner in 1927. On the website and all online text mediums, the Calibri font is used. Calibri offers subtly rounded stems and corners that become clearly visible at larger sizes. In order to effectively convey the clear and concise CARHIRE.ie brand proposition, a range of supporting graphics were created. Theses clearly identify to visitors of the website what exactly it is that CARHIRE.ie offers over competitors. The style presented below replicates a sale sign that could be seen in a shop window. The background supports the blue colour used in the logo, also adding a sense of movement and dynamism.